Chromium, the Mutable ($1.34) Price History from major stores - Core Set 2019 - MTGPrice.com Values for Ebay, Amazon and hobby stores! 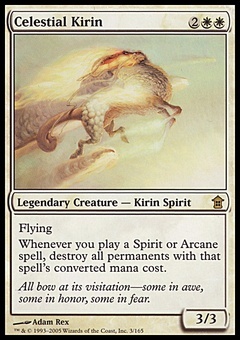 Card Text: Flash This spell can't be countered. 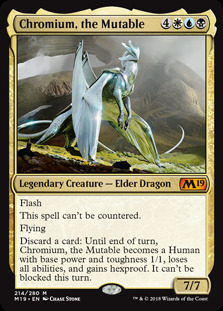 Flying Discard a card: Until end of turn, Chromium, the Mutable becomes a Human with base power and toughness 1/1, loses all abilities, and gains hexproof. It can't be blocked this turn.